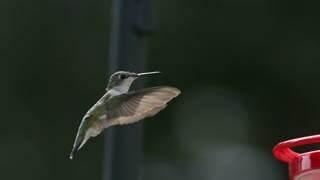 Search Results for "hummingbird slow motion"
Close up view of a humming bird feeding on sugar water from a feeder while hovering in slow motion. 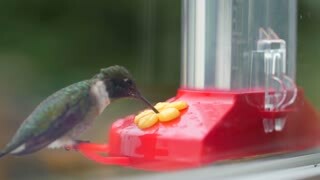 Slow motion close up shot of humming bird hovering in window scene & landing to feed from colourful bird feeder indoors. Humming bird slow motion flying & hovering comes in to feed briefly on red liquid flowered bottle in patio city scene. Slow motion of humming bird hovering & landing to feed from colourful flowered bottle set in window scene. Humming bird in slow motion hovering & coming in to land on patio window ledge feeding from colourful flowered bottle of red liquid. Slow motion humming bird hovering then landing to feed on colourful flowered bottle on window setting. Slow motion close scene indoors with hummingbird flying & perching to feed from colourful flower feeder on window sill between flower pots. Hummingbird Green-throated carib (Eulampis holosericeus) slow motion. A hummingbird in silhouette flying in slow motion and landing on a small branch to rest after collecting nectar and pollinating plants and flowers.